The year 2014 was not bad from a technology point of view, although, a few newfangled developments were revolutionary and a few were sinking ships. 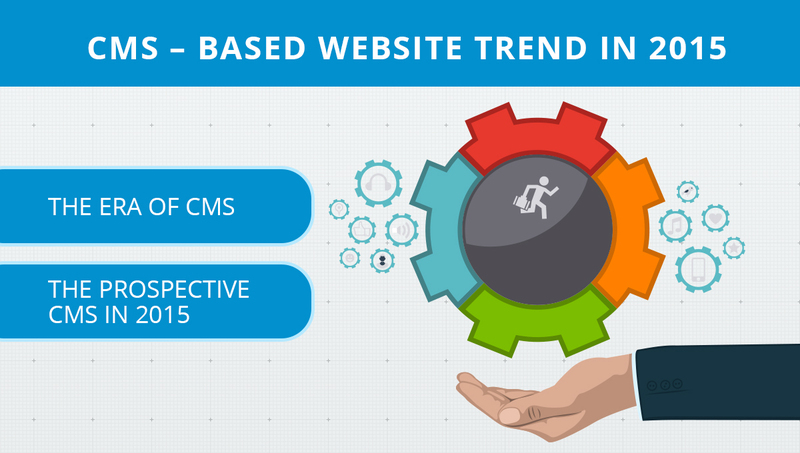 However, the world of Content Management Systems (CMSs) is paving its way in towards the rapidly evolving ecosystem. Content Management Systems, have moved beyond the basic website creation and content publishing. Check out some of the influential trends which have emerged and are going to rule the year 2015. Nowadays CMS stands for “Content Marketing System” instead of “Content Management System”, marketing strategists and experts are the ones who make use of CMS positioning and functionality more than anyone else. Huge Marketing companies are looking for appropriate tools to understand who their site visitors are and ways to target content particular to them. Cutting-edge features & functionalities like dynamic analytics, content customization and social media integration are which will grab the most attention. In a cutthroat economy in which the goal is to hook eye and engage the majority of the visitors, marketers mainly depend on quality content as the right means to get found and create targeted, personalized online experiences. Due to this reason, CMS companies are perpetually putting efforts to provide a rich platform, fostering successful digital marketing strategies. The facility to share content across pages and multiple sites is one of the good things that make content management systems so versatile. This can carry out in an array of ways. The content which we find going viral is often automatic in content sharing through the use of categories & tags. The contributors just specify suitable tags for their content according to scoring algorithm, which can be viewed in the sidebar. In return, the lastly created bit of content is thus in the running to be shared in the very same kind. The key advantage of this approach is that it saves contributors a lot of time, as they do not have to be nervous about finding other germane content to share on their pages. The concept of “create once and publish everywhere” has been going on for few years, yet the benefit is extracted in the present days. To have one source for all your content will update information, decrease overhead and increase go-to-market pace. With this mantra, any company or individual will make certain that their Content Management System has the forte to communicate and integrate with systems such as open source tools, SaaS, in-house systems, independent databases & other installed enterprise applications. Developing a CMS that is accessible as well as customizable is a challenging task. It’s chiefly renovating the whole system that was actually designed for online publishing. A lot of developers are generating solutions collectively and depend upon open-source development to enhance their work. Therefore, a CMS will be created and developed to fulfill a greater set of requirements in content management. There has been a paradigm shift in the last couple of years in estimating preference for mobile. A lion’s share of the mass is now connected with smart phone devices in comparison with traditional desktop PCs and laptop usage. Mobile is perfect for efficient engagement of marketers & other businesses to tune-up their strategies, including everything from content implementation, plan- persona profiling, content theme, distribution and design. Enterprise display technology is coming into the limelight so that content and images will fit into any screen, across all platforms. To know more about the content management system and how to use it effectively, then we can help you as a professional web design and development company.